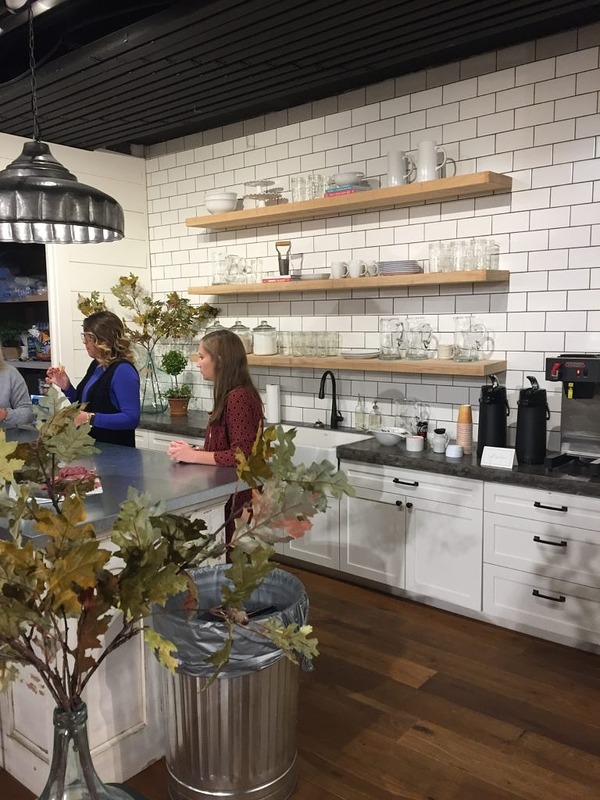 Keith and I are huge fans of the show, Fixer Upper. I confess to having spent countless evenings mesmerized watching to see what a hundred grand could do in Waco Texas–where we live in NJ that’s basically a master bath. 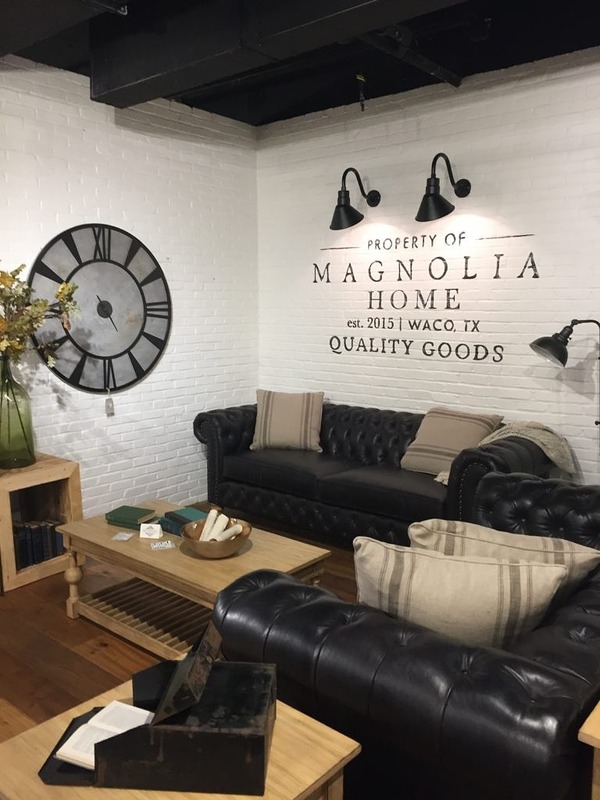 So sadly when we visited the Magnolia Homes Showroom at the High Point Furniture Market it was a bit disappointing. Overall we were not overwhelmed by the furniture; it all seemed a little underbuilt. We kept looking for a Clint Harp kind of table but instead most everything was like the coffee table in the photo above, flimsy with a kind of post-modern vibe so I didn’t even bother to take many pictures. One exception was the beds. I thought quite a few of them had that romantic, je ne sais quoi that makes furniture exciting. This vignette to me reflects the Joanna Gaines we have come to love: romantic, country style that is surprisingly sophisticated. 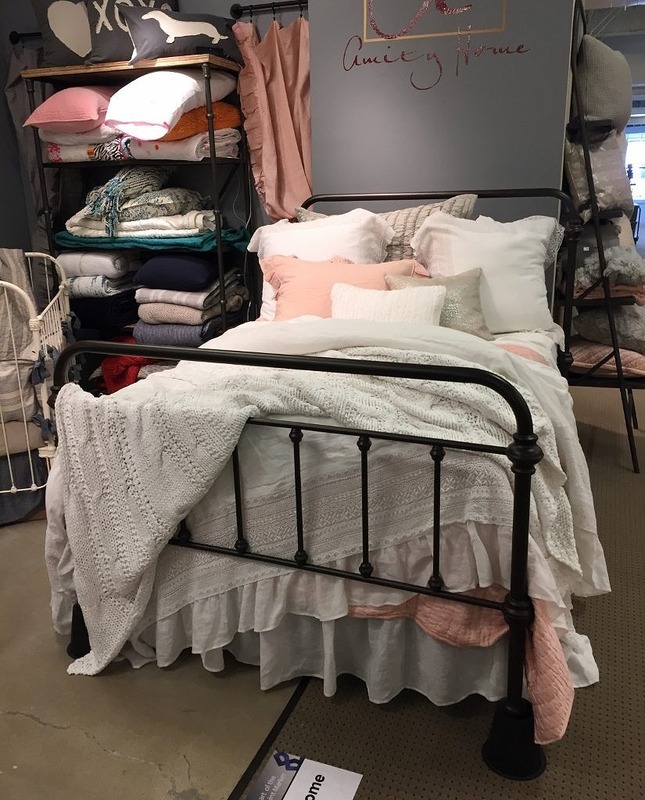 I have a vendor who makes a bed like this and now I just might get it. I just love the iron canopy, the dark hue and the dreamy styling. And I thought the beds for little girls were both sweet and charming. All the bedding was lovely and from a company called Bella Notte Linens. 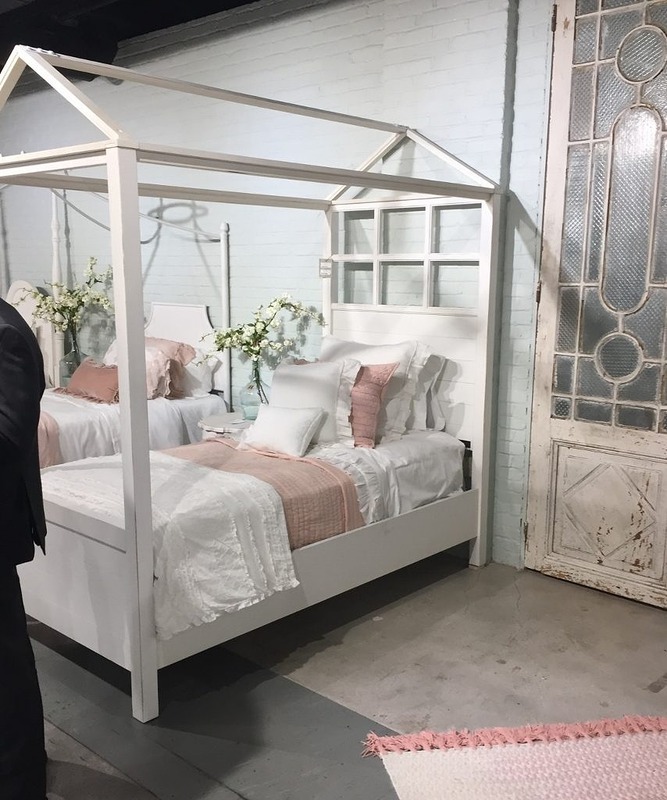 I had just purchased similar bedding for the store from a company called Amity Home so it is nice to know Joanna and I are on the same page. 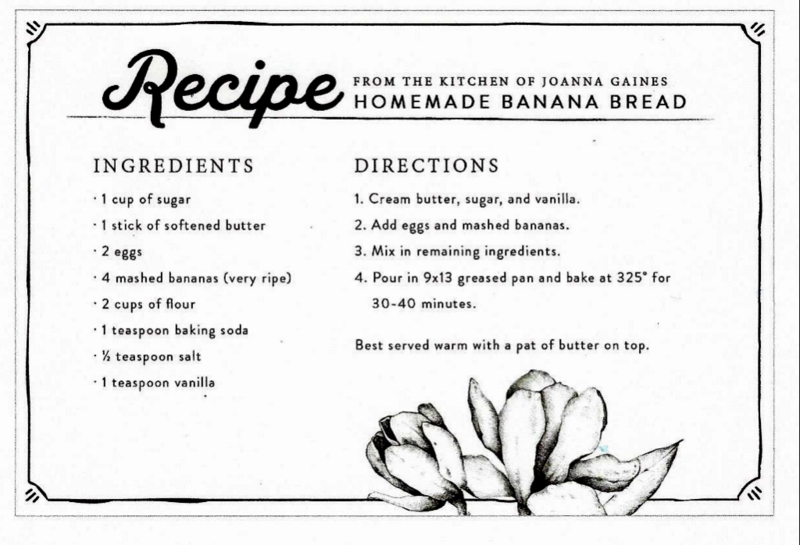 What I am sure about is that this kitchen looks like a fun place to whip up a loaf of homemade Banana Bread; here’s Joanna’s recipe and boy is it delicious!